Creeping and invisible, escaping air has cost some plants as much as $1.7 Million in one year. Air leakage is money leakage. Unfortunately, most companies don’t even know money and efficiency is slipping out the door. And the true costs can be startling. How bad is it? We’re here to shed light on the true time and costs of leaks. And we’ve pinpointed ways to put an end to boiler leaking once and for all. Because air leaks are hard to spot, it’s common to not even notice the problem. But that can be a huge mistake. Air leaking turns into lost energy. In fact, it can lead to a loss of energy climbing as high as 50 percent. Why is energy creep a problem? First, it takes more fuel to make the same amount of steam. That means the machine is working just as hard as ever, but it ends up producing less. This leads to much bigger problems. With added effort, parts can wear and break down. It also leads to overheated systems, which means uncomfortable working conditions and even more cooling costs. The potential for problems from leaks it out there, but how real are they? Even small leaks can have a massive impact. The EPA has pointed out a three percent change in oxygen can mean a four percent boost in efficiency. That can add up fast, especially when many major systems see leaking near 60 percent. That air is heated up and wasted. And energy is lost with it. If a company’s unit’s combustion efficiency is less than 80 percent, at a price of $10 per MMBtu, the cost ends up being in the millions every year. This loss of money from stunted efficiency is the most obvious cost of air leaks. In one instance, when a Saskatchewan prison upgraded their system, they knocked off energy loss by 17 percent. This turned into an annual savings of $75,000. But the cost of leaking goes well beyond energy loss. When air leaks into a system, it means oxygen is rushing over crucial parts. Oxygen and metals don’t always get along. Oxidation corrodes pieces, causing a need for costly repairs. And the costs go beyond finances. Leaks can cause dangerous conditions. When leaks hit the furnace, ash starts to pile up. Ash leads to even bigger messes. It puts pressure on parts inside the penthouse and can get heavy. That means even more wrecked pieces. The cost can go beyond repairs. It also creates dangerous conditions for workers and can end up causing severe burns. Slagging is a costly maintenance problem that is a result of ash. It’s when hot ash cools and sticks to parts inside the furnace. Clean up can lead to more issues. When ash is blown through the unit, it can easily block up pathways and knockdown efficiency. 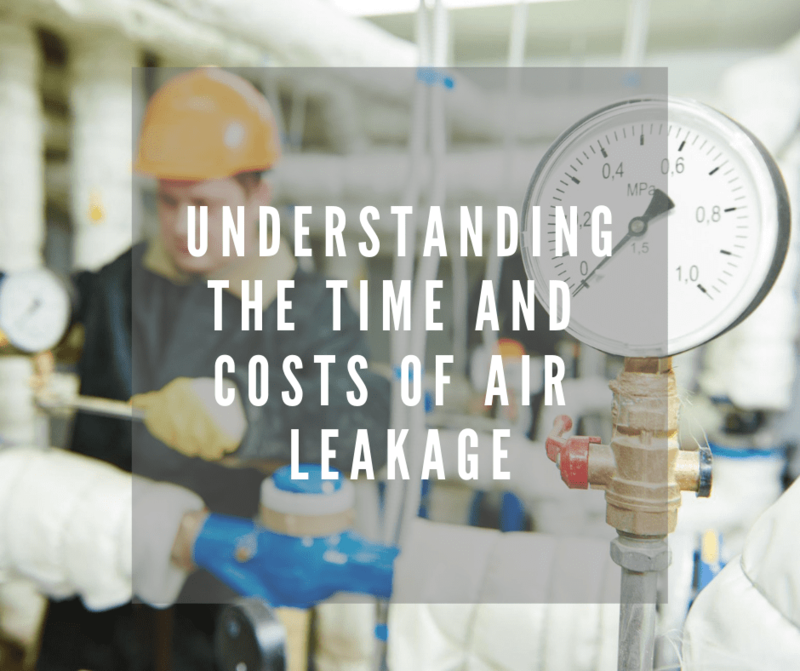 And the true cost of air leakage spills past safety and money. When air leaks cause extra fuel burn-off, carbon dioxide is spit into the atmosphere at rates as high as a 3 to 1 ratio. The result of air leaks is boosted greenhouse gases. It also means companies can face regulatory problems and fines. Those emissions can be massive, especially for large operations. Even boosting a home’s furnace efficiency by 40 percent can amount to stopping around two tons of carbon dioxide from flying into the atmosphere each year. Imagine the output of larger units. But don’t worry, there are ways to fix air leakage. The first step in fixing air leaks is learning how severe the problem is. An air detector device is needed to diagnose leaks. But there can be common problems with air leak detection. Leakage can occur at several different spots in boiler systems. Also, most oxygen monitors are placed at the economizer exit. A lot of heat exchange goes on in this area. Because this spot is exposed to harsh conditions, and leak effects itself, readers can be thrown off. Instead, some studies suggest more accurate reading could come at the furnace exit. Once leaks are figured out, sealing can be tricky too. One tempting fix can be welding. However, it can lead to several potential issues. Since the welded area is usually stronger than the portion around it, when temperatures rise the spot can crack. It’s also best to find an option that is flexible. Again, it’s the best option when extreme conditions are making things expand and contract frequently. The best way to stop air leaks is seal them off without damaging equipment. This can be done through the application of sealant products that are designed for high heat, and are air and gas tight, like Isomembrane. The sealant needs to be able to withstand extreme temperatures and also resist heavy movement. These sealants have been a cure for several big leaks in large companies. In some cases, companies have been able to cut air leakage by 20 percent. Diagnosis and solid sealant are key, but it’s a good idea to tap into the advice of experts whenever possible. Professionals, and the US government say it’s a good idea to connect with heat specialists to figure out specific costs and hit the root of the problem. We’re here to help with air leakage and heating products. Contact us with questions or reach out for product advice.